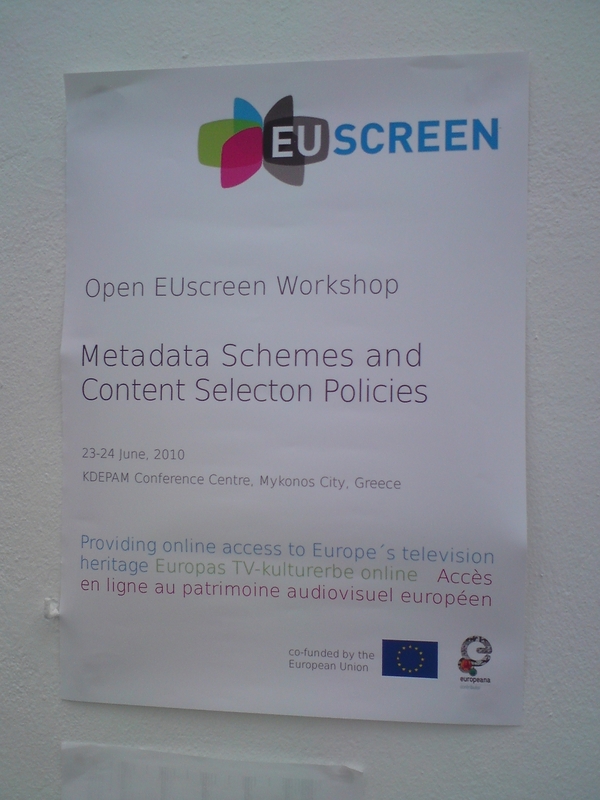 Over 60 participants traveled to Mykonos for the EUscreen Open Workshop on Metadata Schemas and Content Selection Policies on June 23-24. A warm welcome to all participants and a general introduction was given by Sonja de Leeuw, project co-ordinator of EUscreen. The focus for the first day lies on the developments within EUscreen: the EUscreen content selection policies and guidelines, the metadata elements and the roadmap and workflow for content providers. Also, participants will get a preview of the backend and the frontend of the portal. The second day will be dedicated to presentations about practices in other European projects, like Europeana and PrestoPrime.